While Kew Gardens is a gorgeous location, absolutely stunning, it really is much more of an attraction for adults. Now, which self-respecting child actually cares much about flowers they can't pull from the ground? Yep, that's right, no-one. Especially my threenager. 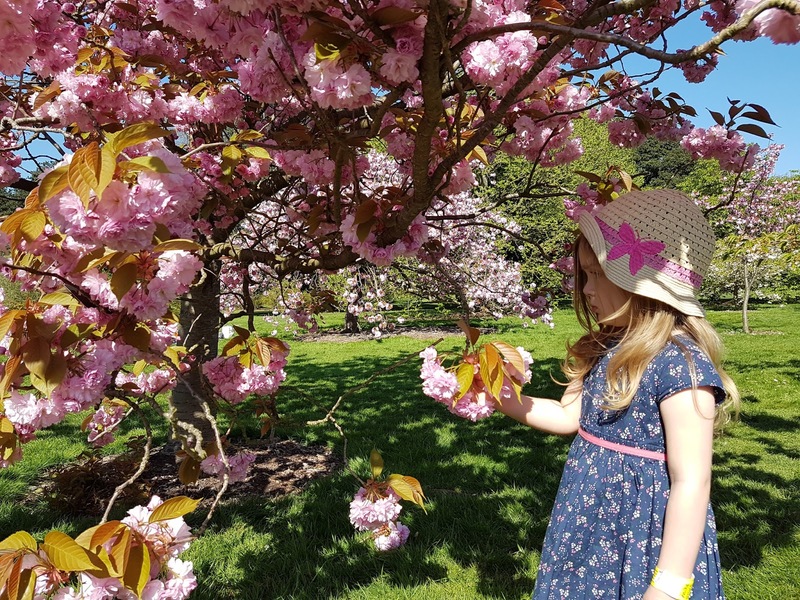 There is a reason why the tickets to Kew Gardens are free for under four year olds! 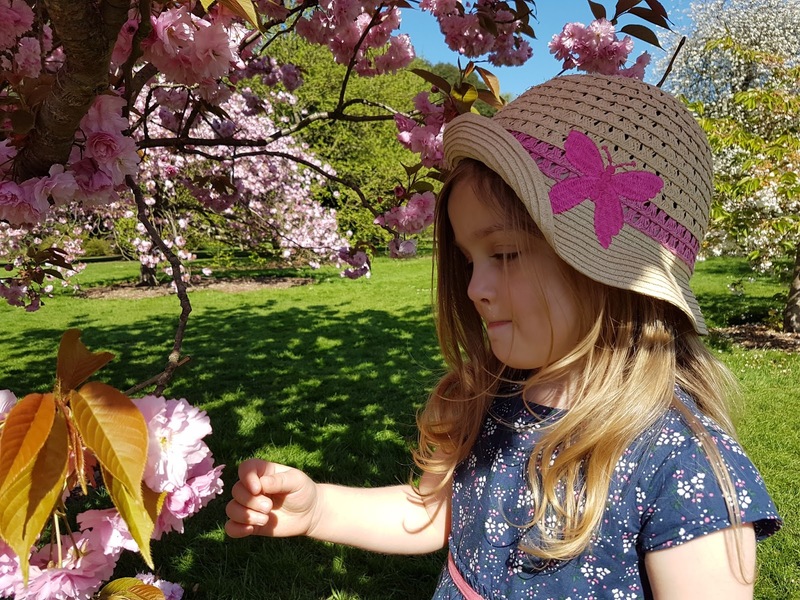 There are however some things for very small kids to do, and things that they will really enjoy, and these are the things I found helpful when visiting with my young daughter. You can even book the tickets the same morning. On a beautiful sunny day, especially in the morning time, the queue to the tickets offices is horrendous and you do not want to wait there with your kids. I know mine would be a nightmare. So book those tickets before you get there, and bask in the smugness when you walk past the crowds inside. I bought my tickets from AttractionTix, and while they say you need to print the tickets, they accepted my e-tickets at the gate. You can get tickets online with Kew Gardens as well but they are about a quid more expensive. This is one of those jeeps with carriages at the back - you know the ones that every single kid wants to go on everytime they see one... Anyway. I found this was a great way to get a small uncooperative child to cooperate enough for mummy me to actually see something and to enjoy the gardens. We sat on the train, it took us around the Kew Gardens, I saw all the main sights, and my daughter mostly sat still waving at people. Result! The tickets were a fiver for an adult and a couple of quid for kids - money well spent. On a busy day, do get to the train about 15 minutes before it leaves from Stop 1. No-one left or got on between Stops 2 and 3, and even from Stops 4 onwards it wasn't 100% if you would get on it. The train can be pretty packed on a busy day. There are indoor and outdoor play areas elsewhere, but I found these were really ram-packed with older kids, and I would not have taken a toddler or even my three year old there. Possibly on a quiet day when there aren't too many kids running amok, but on the busy day we were there I just didn't feel comfortable. So I took my three year old daughter to the Natural Area, where there is a little badger cave you can walk into (and some areas you even need to crawl!) and a log-trail to jump around on. If you want to visit with on a budget do pack a picnic with you as it can be quite expensive otherwise, especially for adults. You can grab something to eat on your way if you arrive by train - there is a small Tesco right outside Kew Gardens Station, and some other shops nearby too. Otherwise, you can get a sandwich and a milk or juice for kids for about £3 from the restaurants, which isn't too bad and was enough for my little one. The quietest restaurant tends to be the Pavillon Restaurant near Stop 2 if you want to eat in, and White Peaks Cafe near Stop 7 apparently has child friendly menu. Bring a water bottle too - you can fill them at all the restaurants saving you few bobs! This was probably one of the highlights for my daughter. You see these massive koi carps circling below the murky surface, and these ducks and geese swimming in the pond, and lots and lots of other kids marvelling at the same sights. It was quite difficult to get her to leave! We got to see a very exciting fight with the geese too, where they had a proper pecking match right in front of us. While obviously not an everyday occurrence, we did feel a bit like having been plonked right in the middle of a nature documentary! We did enjoy our visit, although I think Kew Gardens really is much more of an adult place to go to. There are still lots of pretty cool things for kids to see. Older, school-age children will of course get much more out of it in an educational way. 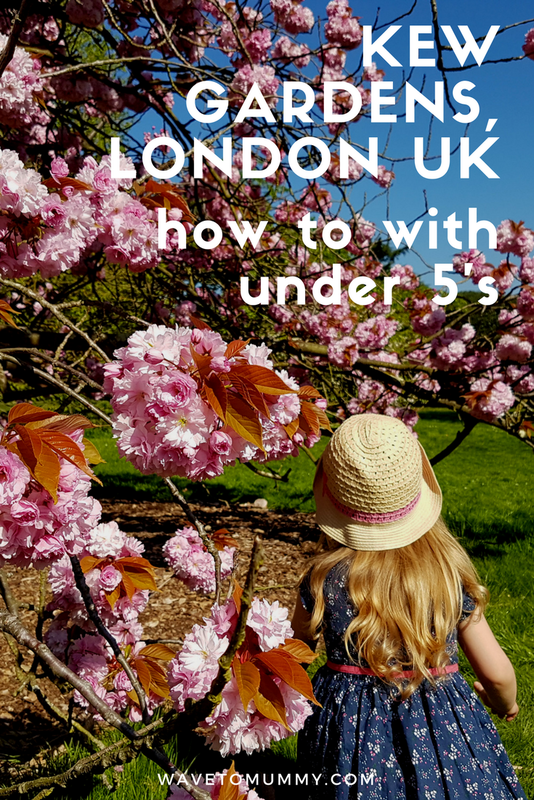 There are a few more tips on what to do with kids (especially older ones) on AttractionTix blog as well as on Kew Gardens site. We spent the whole day at Kew so there certainly is lots to do over there! We also filmed a little video of our day - I hope you enjoy. 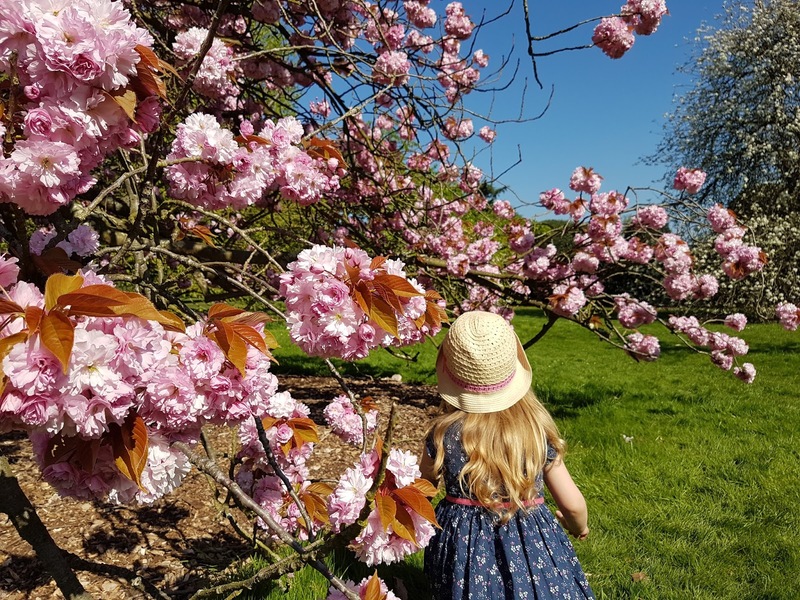 Have you visited Kew Gardens with little children? What did you do? I used to live very close to Kew Gardens but only visited once when my eldest was a baby, so didn't really need to think about a little one running around. From what I remember, and it was a long time ago, there really wasn't anything for children and certainly no land train. It does sound like things have changed with the Badger den and playground. I'm glad they have made it a little more family friendly without distracting from the beauty of the gardens. In that case I think they've done loads there since you last visited! There are loads of things for kids to do now - although many I think are best for school aged kids. It is such a beautiful place - the surroundings are stunning. Thanks for hosting. Thank you :) it's hard not to take good photos in such a beautiful place! I think is gorgeous the blossom... it was such a lovely time to.go there too with spring flowers blooming. I even saw their bluebell woods. Failed to take any obligatory blogger pictures of it though as my daughter started running away ha ha. Oh totally - you just can't see everything in one day! That's one reason why I thought the Land Train was fab - I got to see many of the sights with minimum effort. 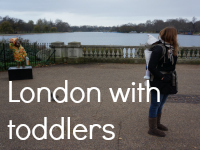 We love Kew Gardens with kids. Its where my Sister and I always head when its just us and the five kids. Great fun. Did you do the treetop walk and the hive? My girls love these. They also adore the natural play area, the badger set and the aquarium in the palm house. Every time we go we see something new. We did the hive - apparently it's not going to be there much longer which is why I wanted to see it. We didn't do the treetop walk - I did think it would have been fab but I was just so exhausted by the heat I just wanted to sit in the Land Train ha ha. It is such a huge area wed have plenty more to explore there! I do have to disagree in the sense that I think Kew is great for kids! So much so that if we lived closer by, I'd probably get a membership so we could go there all the time. 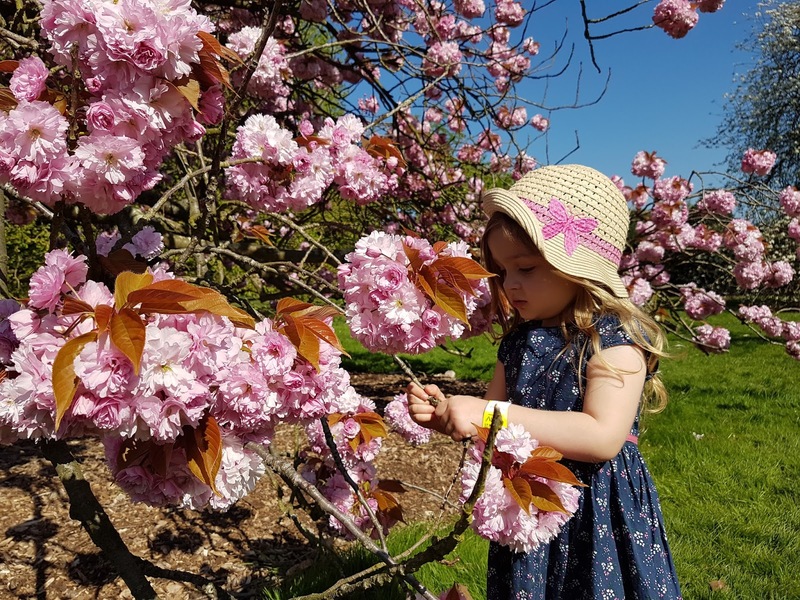 As you know, my son is the same age as your daughter, but he loved running around the grounds, hiding under & climbing onto trees, seeing the fish in the aquarium, climbing to the top walkway of the Palm House and playing in the indoor & outdoor playgrounds by the White Peaks café. He was intrigued by The Hive & would have probably loved the treetop walkway too, had we not got tired before reaching it. But he has never been a big flower-grabber, so I guess that was one worry we didn't have, and all children of course are different, anyway. I will definitely be back with him soon, though. Oh totally - I think Kew Gardens is great for kids. Any big park is really. I just don't think it is a great attraction for kids or that it would warrant paying for children's entry - kids would be just as happy in their (free) local park :) I was anyway having trouble getting my daughter to do anything other than run around like a headless chicken and she can do that home too ha ha. Great tip about the White Peaks kids lunch - wish we would have seen that! Btw. My daughter got her hands on some of the flowers while I was faffing with my camera... we swiftly made a move aways from the petals after that ha ha. 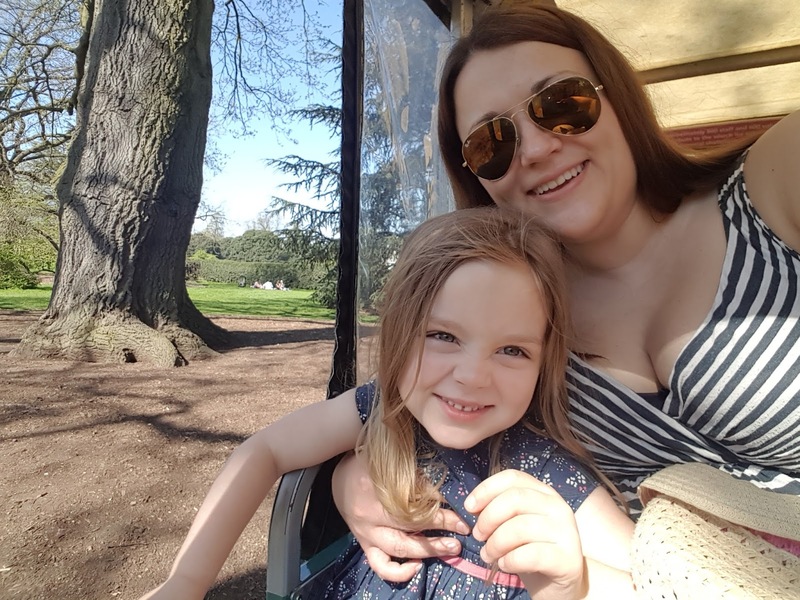 I love taking my kids to Kew - we love running around the big open spaces, the tree trop trail and especially the log trail. I'm glad you saw The Hive - my pair are still talking about that months after we visited. You should go back at Christmas when it's dark for their amazing light trail! Wow the Christmas lights must be really beautiful - I'll definitely keep that in mind. The Hive was really interesting - I'm glad I got to see it! I think it is being taken down after this summer - that's what one of the staff said anyway. 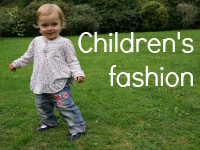 Lovely photos and some really useful tips for visiting with children. I love visiting places like this and find my kids usually enjoy it more if they have something to do while they are walking around, such as taking a camera with them. The natural play area sounds great! It is such a huge place I think it would take you a few visits to really appreciate all Kew has to offer. I'd still like to see the treetop walk, the aquarium and the princess/queen cottage amongst others. 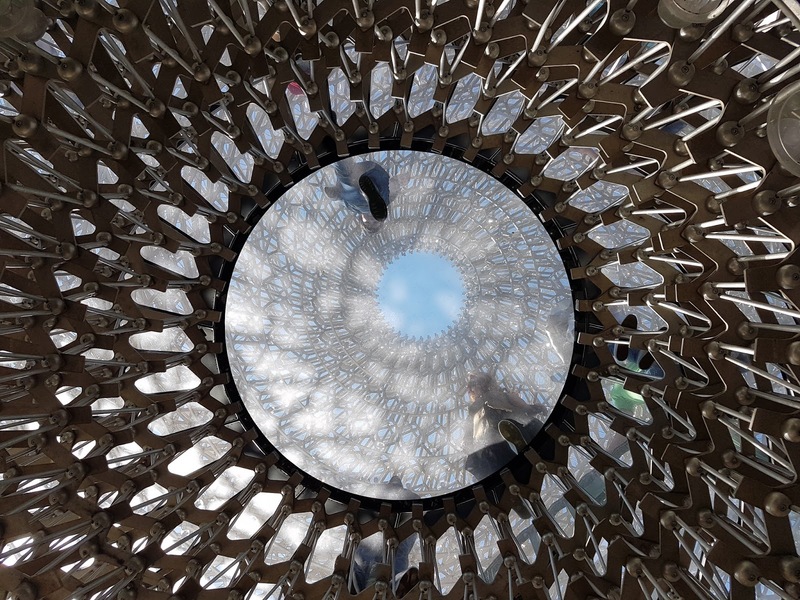 The Hive was really interesting - and there are so many other interesting sights to see too. It is so much more than just flowers and plants! Greetings! 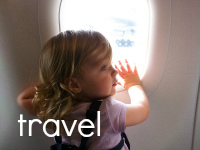 Great post as always - really enjoy reading up on your parenting advice and tips. 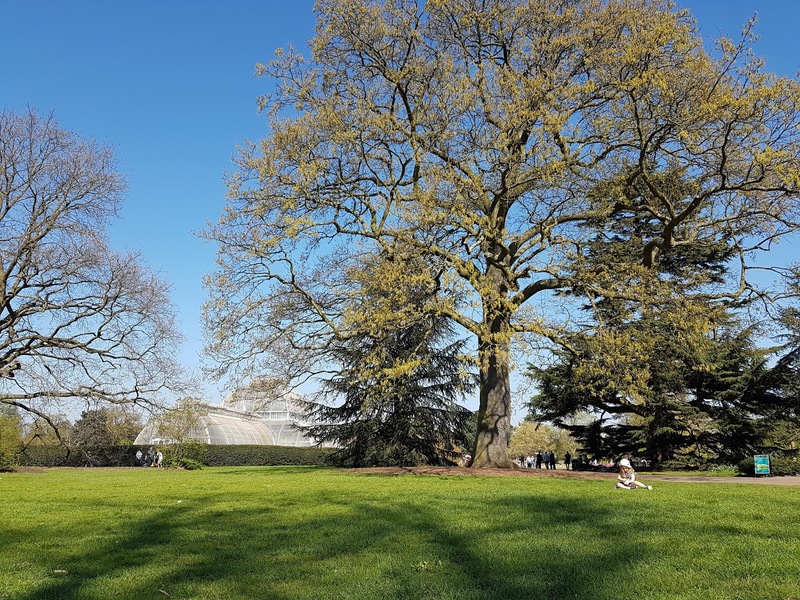 Your trip to Kew gardens looks so beautiful - thanks for sharing! It can be challenging being a busy mom and sometimes a vacation is much needed! To upkeep your house while you're gone I suggest hiring a house sitter! 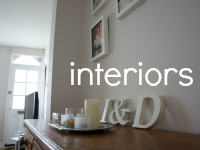 They can pick up your mail, water your plants and even look after your pets. I recommend visiting a website like Housesitter.com to view house sitters near you! What our family was up to in May 2017?